Do we have a location for you – a place that is only for the very brave! 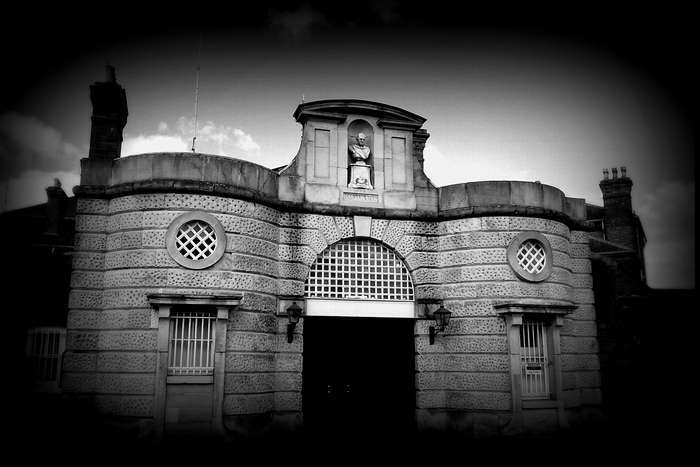 Enter the doors of this vast old Victorian Prison in Shrewsbury – also well known as the Dana for a terrifying night of ghost hunting! This incredibly atmospheric Prison is reputedly haunted by those that sadly lost their life to the notorious hangman and his noose in this once harsh and unforgiving location. The building has only very recently opened its doors again as it has stood closed and abandoned for two and half years - but its life as a prison first began way back in 1793 - before actually closing for the last time in 2013. This historical prison was once a fearful place of execution and terror and the remains of those who were executed were once gruesomely buried within the prison before they were later moved and their remains laid to rest. A night for those that like to be scared – why not join us as we unlock the past during our vigils and séances in the most haunted recesses of this Victorian establishment. With row upon row of original cells - that once housed the most hardened of criminals along with an Execution Room also known as the long drop - last used in the 1960s for one of the last hangings in England you really are in for one hell of a night! This really is Ghost hunting at its best with such a fantastic haunting location but remember there may be no heating at this building. It may be very cold also very dark so wrap up warm and bring Torches. Please Note: Please bring along your own folding chair should you wish to sit down during breaks. Join us if you dare! If you choose the non-refundable deposit option, the final payment for this event will be required no later than the 25th April 2019. Parking: Local car parks and street parking - nearest car park is across the road from the Dana building. Please note this car park does have a parking fee. Please bring along your own folding chair should you wish to sit down during breaks. We advise our guests to wear sensible footwear along with warm waterproof clothing. Please provide your own torch. We regret this event is not suitable for anyone with mobility issues.